As a Ford dealer, we proudly offer a superior selection of top quality vehicles, both new and pre-owned. Our customers are very important to us and we firmly believe that the car shopping process should be straight forward and fun. Our dedicated sales staff is complimented by our certified service technicians. Our team will handle any needs, you or your vehicle may have. We hope you will enjoy our complimentary customer shuttle, free Wi-Fi, and our friendly and dedicated staff. Whether you’re looking for fuel economy, comfort, performance, or something just for your weekend enjoyment, Uxbridge Ford strives to provide you with the vehicle you want, and the service you expect. Come and be a part of the experience and see for yourself why our customers remain loyal to us for. 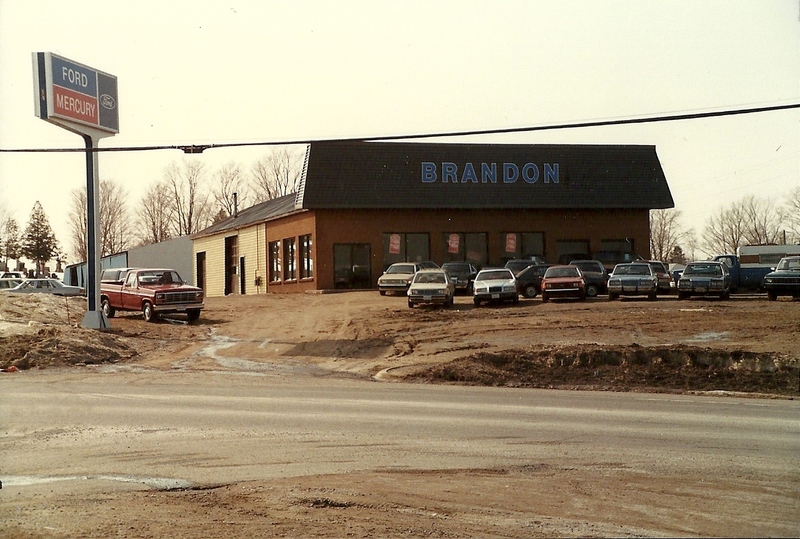 The Brandon name has had a long association with Fords in Uxbridge. New Ford vehicles were first sold here by Charles Brandon from the site of the then and current Shell service station at the corner of Brock St and Spruce St. Charles purchased the service station in 1945, and in 1948 built a large addition which served as a showroom for the Ford vehicles he carried. The Ford line was maintained at this location until 1963 when Charles passed away and the dealership closed. Uxbridge then went 15 years without a Ford dealer. French Ford, which was located on Main St N, opened for a short period from 1978-1980, but following their short run Uxbridge was once again without a Ford dealer until the opening of Uxbridge Ford. Terry Brandon opened the dealership's doors as Uxbridge Ford Mercury Sales Ltd in January 1985. The lot was no more than a gravel pad, and the building – which had originally been a farm-implement dealership in the 1960s, and converted into a manufacturing facility for equipment used in paper recycling – had just one large service bay door and three hoists. 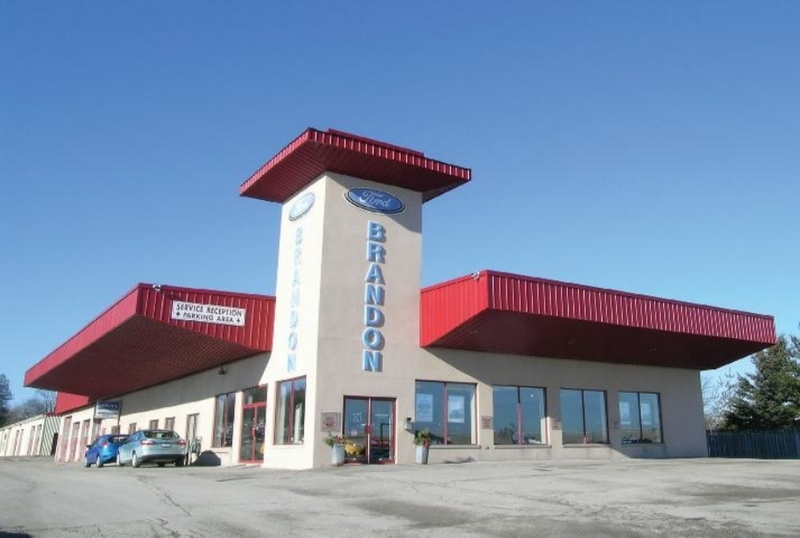 Despite their small size, Uxbridge Ford quickly built a strong reputation for quality service. Demonstrated by the Ford President’s Awards and other service commendations proudly displayed on the showroom walls, customers have always been confident bringing their business to Uxbridge Ford. In 1987, the Lincoln line of vehicles was added to provide more options for clients. In 1994, after nearly 10 years of strong success, owner Terry Brandon expanded the dealership’s space. An extensive renovation included a much larger showroom and service area, eight service bays, and two detailing bays to better serve customers. The new-and-improved Uxbridge Ford had its grand re-opening in 1995. With Ford’s discontinuation of the vehicle line, Mercury was dropped in 1999. 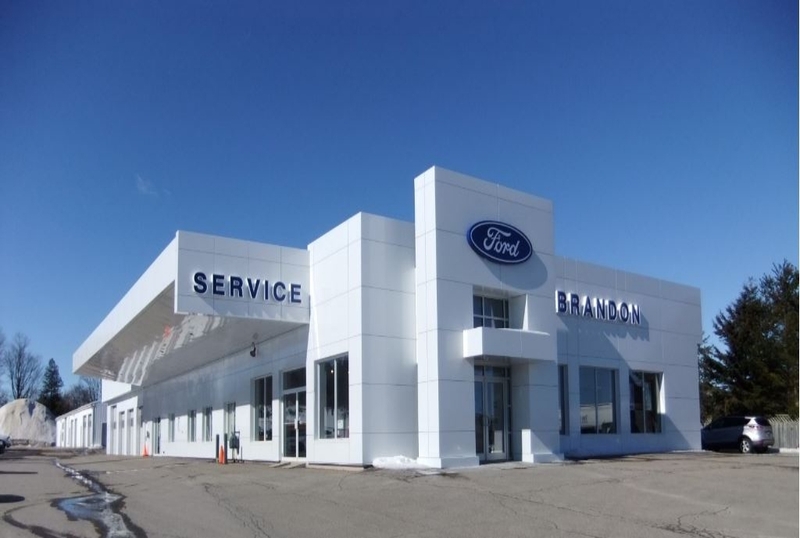 In 2005, the dealership opted to focus solely on the Ford line, thus moving on from Lincoln. Despite the struggles suffered by many through the recession beginning in 2008, Uxbridge Ford and the Ford Motor Company weathered the storm thanks to the loyalty of our wonderful customers – this being another testament to the outstanding service our customers have come to expect, in both good times and in bad. In 2013, after nearly 30 years in business, Uxbridge Ford is once again getting a facelift. In conjunction with Ford Canada’s Millennium Project, a fresh new look will soon be unveiled. 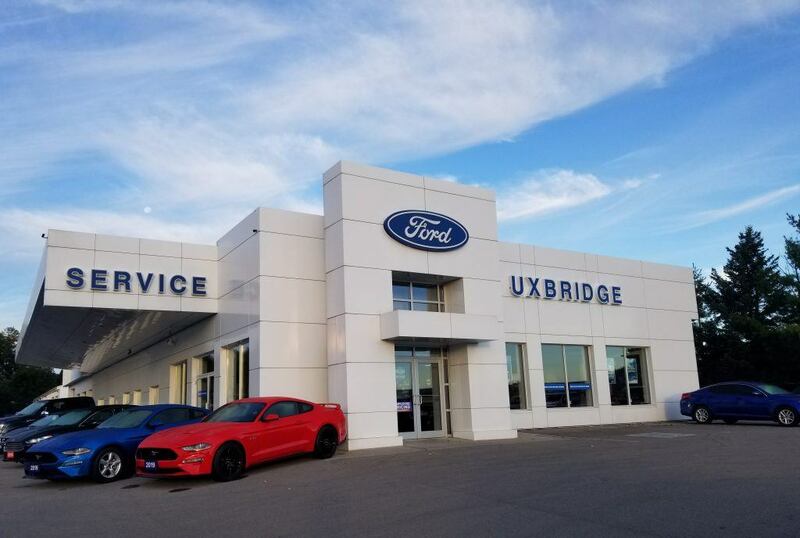 On June 1 2016, Uxbridge Ford was sold to Sean Riley. Sean brings many years of experience to Uxbridge, having already Co-owned Markville Ford Lincoln SVT, in Markham. Sean, and his dedicated team of staff, are excited to provide another 30 years of trusted service to Uxbridge and the surrounding community.